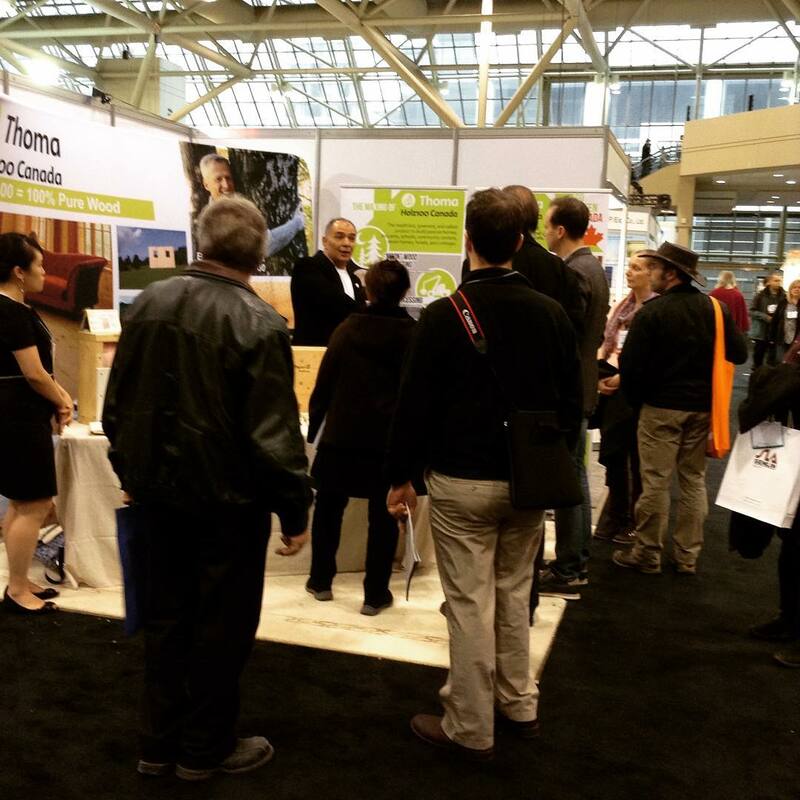 IIDEXCanada - Holz100 Canada Inc.
Holz100 Canada attended IIDEXCanada 2016 as exhibitors (booth #6130) on November 30th - December 1st and it was very successful! 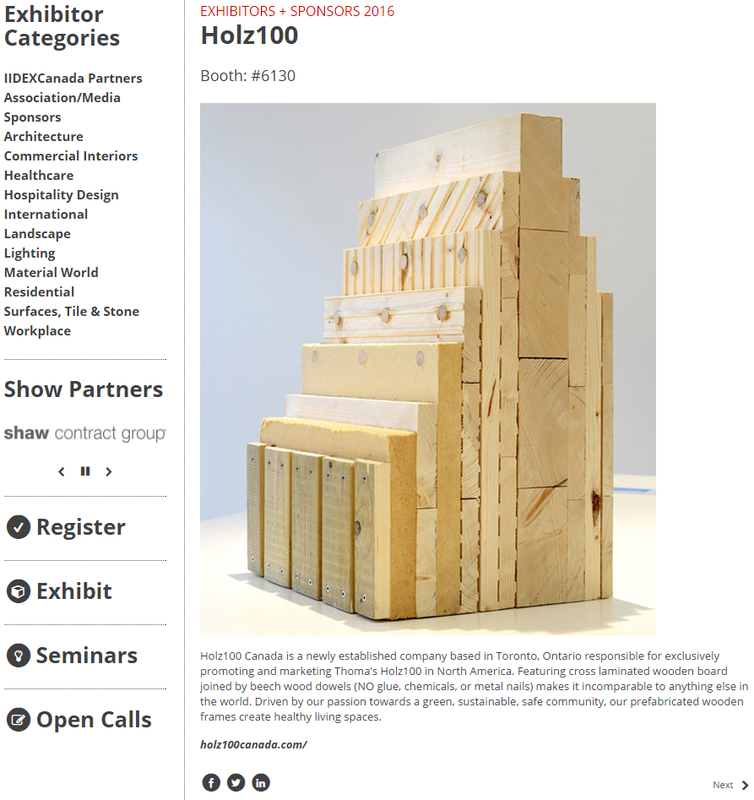 Numerous architects, consultants, contractors, interior designers, builders, and even students from Ryerson University and George Brown College gathered to learn more about our Holz100 product. With the exception of one person who had already known about us - our concept of CLT, wooden dowels, and moonwood altogether was new to everyone else. We were happy to have our newly established company known and desired by many.